Typically, investing in real estate is quite boring. We purchase simple homes in average neighborhoods, and our property management teams deal with the tenants. Most of the time, nothing too exciting ever happens. But every once in a while, we receive a wacky email from our property management companies. On today’s show, Natali and I are sharing an incident that recently occurred at a rental property. We’ll talk about how we handle these issues, and discuss the ups and downs of investing. Please join us for episode 297 of Investing in Real Estate! Owning real estate entails dealing with the ebbs and flows of business. Sometimes, we have to go through evictions or handle violations. We’ve learned to accept these things as part of the process, handle them as they come, and stay focused on our goals. Occasionally, something really bizarre comes up. This week, Natali got an email from a property manager about a situation at one of our properties. Over the weekend, the tenant notified the property management team that something had gotten stuck in the ventilation system, and it smelled like something was burning. The tenant shut off the heat, and contractor was contacted. 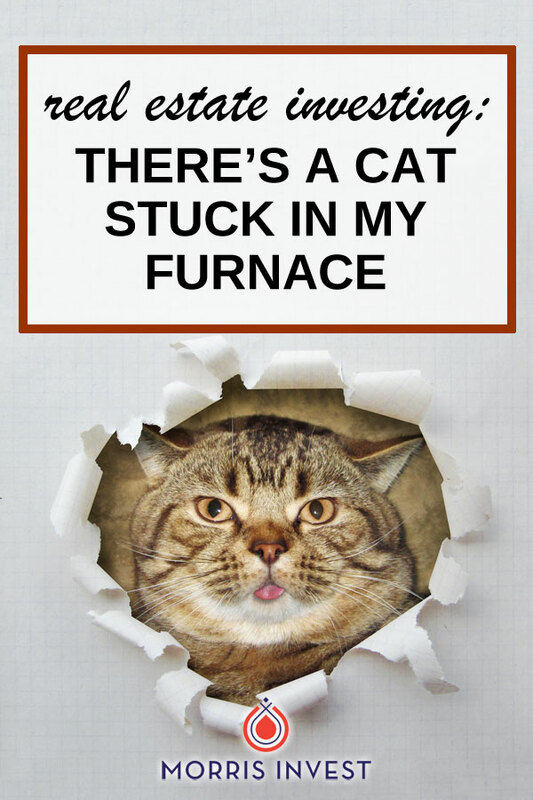 The contractor discovered that a cat had gotten into the attic, wandered into the crawl space, squeezed itself into some damaged ductwork, and then fell onto a heating component. The burning smell, unfortunately, was the smell of cat hair. Luckily, curiosity did not kill this cat, and it seemed to have at least one of its nine lives remaining! We wanted to share this story with you because 1) it’s funny and 2) to share the reality of running a business—things happen! There’s no issue in real estate that cannot be fixed, and ultimately, property management took care of the issues swiftly and efficiently.